Posted 3 days ago by RAM-MAN, 25 views. Available: Bass Player, Drummer, Singer in Sandton, Gauteng, South Africa. Posted 4 days ago by davidmarais, 25 views. 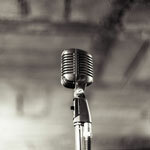 Free Rhythm And Blues Musician wanted and available ads in your Area. Find a Rhythm And Blues Musician today or a Rhythm And Blues band to play in. An overview of all musician classifieds on Join-A-Band.com.